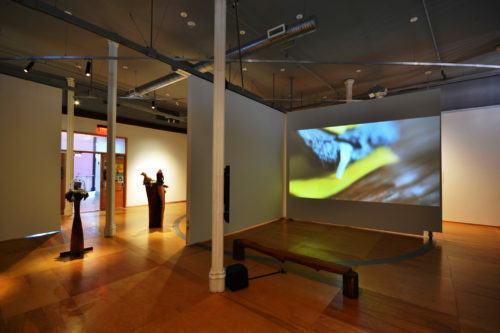 Hallwalls Contemporary Art Center resides within the redeveloped Delaware Asbury Church, sharing impressively restored spaces with church owner, Righteous Babe Records. This internationally recognized art center includes dynamic gallery spaces with 16’ high ceilings, 60-seat performance and screening room, arts and media offices. 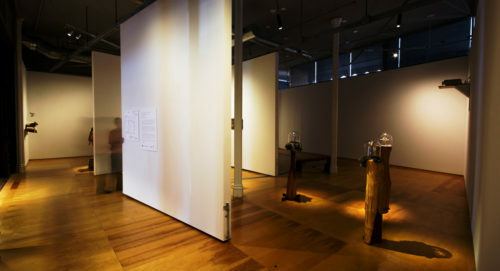 A system of suspended and pivoting partitions allows for ever changing exhibit space customized to each installation. 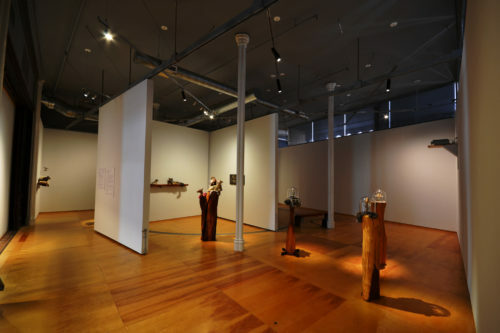 The gallery walls are held back to reveal slivers of the historic fabric such as wainscot, cast iron columns and art glass windows. 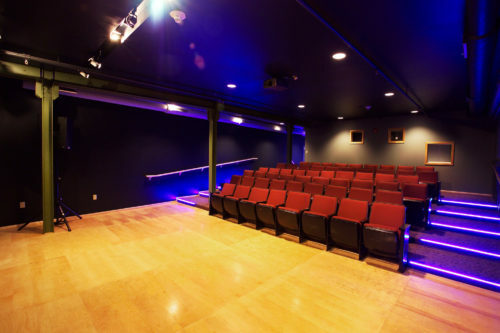 The theater is equipped with sound, lighting and projection equipment for the screening of film and video productions as well as small musical performances. This project received a design Honor Award from the Buffalo/WNY Chapter of the American Institute of Architects.